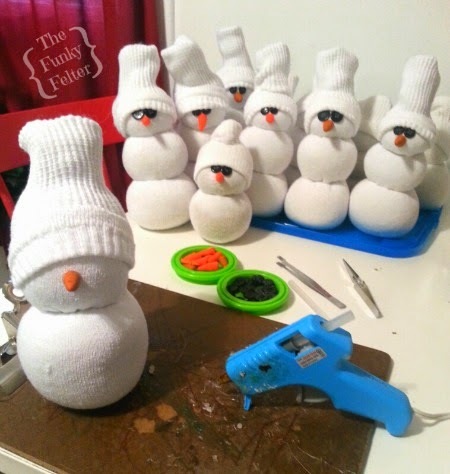 Have you made any of these little snowmen yet? 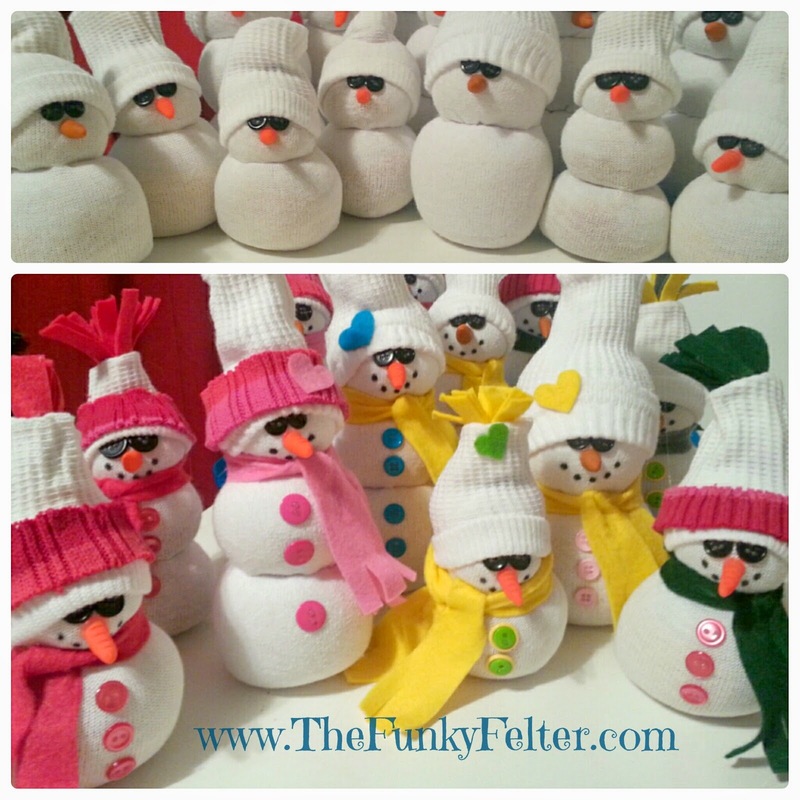 Towards the beginning of November, I had posted about having a craft party at my church where we created sock snowmen. 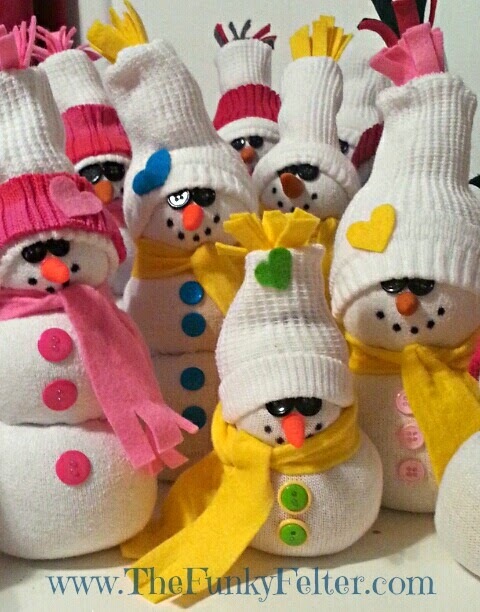 We had an absolute blast together making these little guys and gals. 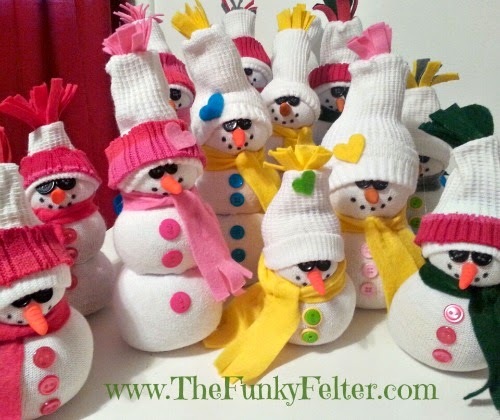 Recently I whipped up several more to donate to my daughter's school and also for gifts. These are just plain fun to make and soooooo easy! If you haven't tried it, I highly recommend it. And, it is even better with a group of friends or getting the kids involved. 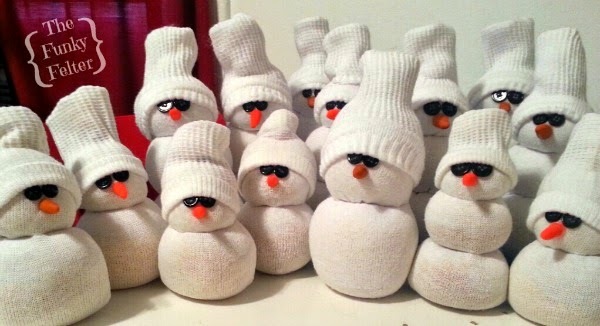 CLICK HERE for the sock snowman craft tutorial instructions. CLICK HERE for the polymer clay carrot nose craft tutorial instructions. And, don't forget to share! If you like this craft, please pass it along via the social media buttons below. Thank you!